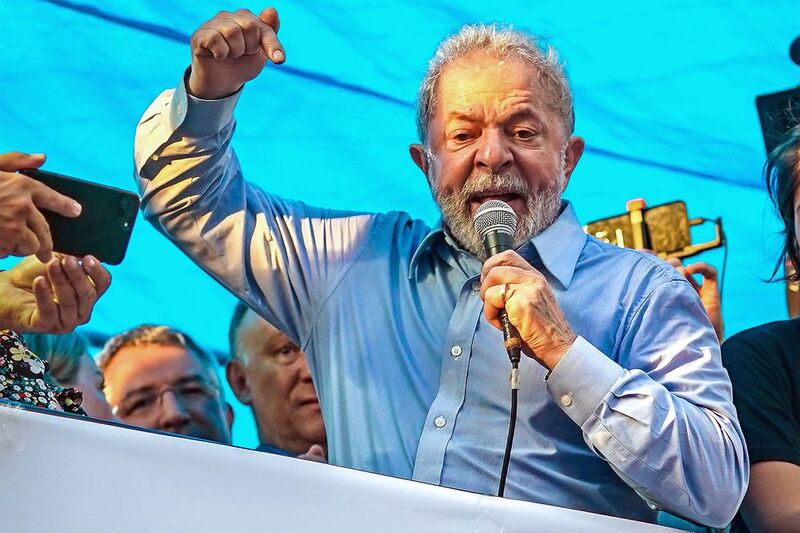 Former Brazilian President Luiz Inacio Lula da Silva said he needed the people and not the financial markets in a defiant speech to supporters the day before a court ruling that may determine his political future and shape the outcome of the country’s October election. Speaking before a crowd of tens of thousands in the southern city of Porto Alegre, Lula said the prospect of his return to the presidency was scaring investors, but that he didn’t care. "The market’s afraid of Lula," he said. "I don’t need the market. What I need is for the people to take part." His speech comes as an appellate court prepares to hand down a ruling that may make or break the popular former head of state’s chances of a comeback for the nation’s top job. Three judges will decide whether to uphold Lula’s conviction for corruption and money laundering. The clear front-runner in early election polls, Lula has vowed to push ahead with his candidacy regardless of the outcome, much to the alarm of investors concerned about his promises to roll back Temer’s pro-business reform agenda. "They are trying to sell a stability that doesn’t exist," he said. "They are privatizing and breaking our companies." Since his conviction in July last year, polls have shown a steady increase in support for Lula, who left the presidency in 2010 with an approval rating of around 80 percent. The latest Datafolha survey showed 36 percent of voters would back him in October’s election, roughly double that of his nearest rival, right-wing Deputy Jair Bolsonaro.